A comet zooming past Earth next week on its journey towards the outer solar system may be visible with just a set of binoculars, but thankfully it will not come close enough to pose any threat, according to NASA. Discovered by NASA’s ‘Wide-field Infrared Survey Explorer’, comet ‘C/2016 U1 NEOWISE’ “has a good chance of becoming visible through a good pair of binoculars,” according to the space agency. “Although we can’t be sure because a comet’s brightness is notoriously unpredictable,” said Paul Chodas, manager of a NASA’s Center for Near-Earth Object (NEO) Studies at the Jet Propulsion Laboratory in Pasadena, California. The comet will pass by the northern hemisphere during the first week of January 2017 and will be visible from Earth in the southeastern sky shortly before dawn. Afterwards, the comet is expected to continue moving south, entering the orbit of Mercury until January 14 when it will make its way back to the outer solar system - where its orbit is expected to last for thousands of years. Launched in December 2009, NEOWISE is Nasa’s infrared-wavelength astronomical space telescope and acts as the “asteroid-and-comet-hunting” arm of the Wide-Field Infrared Survey Explorer (WISE) mission. NEOWISE also recently spotted a second celestial traveler - an object which sits somewhere between a comet and an asteroid. 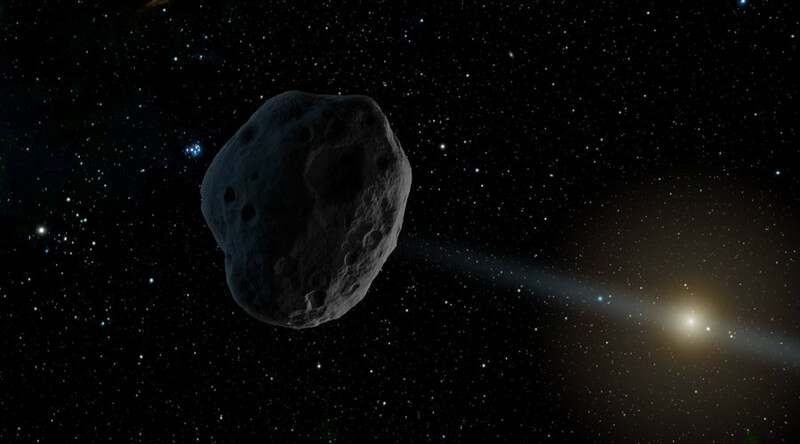 At its farthest distance from the sun, 2016 WF9 approaches Jupiter’s orbit before returning inward, passing under the main asteroid belt and under Mars’ orbit before flying inside Earth’s orbit and heading back toward the outer solar system. The entire route takes less than five Earth-years. Given the object’s expansive orbit, scientists are not entirely sure where it originates from - it could once have been a comet, or it may even have strayed out of the main asteroid belt (an area located roughly between the orbits of Jupiter and Mars). The next time 2016 WF9 is expected to pass Earth is February 25, 2017, at a reassuringly safe distance of nearly 32 million miles (51 million km) from our planet’s surface.